The Israeli-Palestinian Separation Wall: On one side, Palestinian homes. On the other, the beginnings of a settlement. 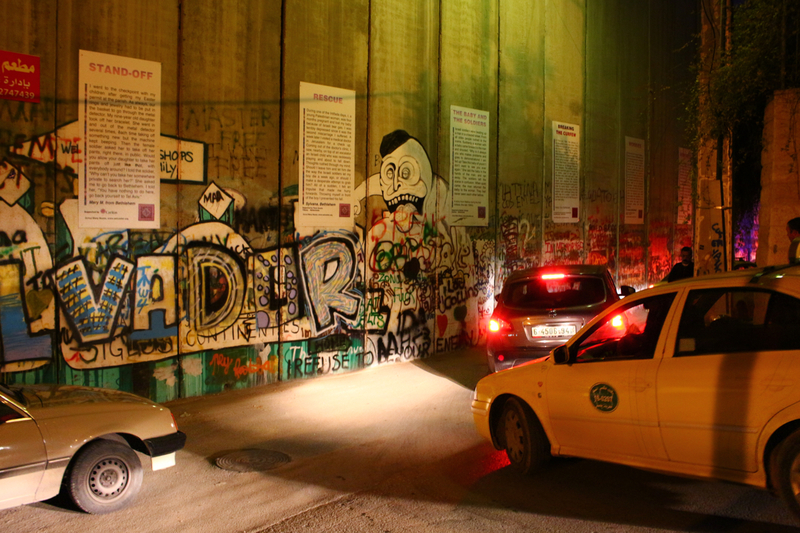 From the Palestinian side, the wall is unattractive and decorated with graffiti. The surrounding area, on the right, is lined with dirt roads. From the Israeli side, the wall is more aesthetically pleasing. To the left of the wall is the smooth, “settler-only” highway. In the distance, on the left, olive trees continue to grow that were once tended to by Palestinians. 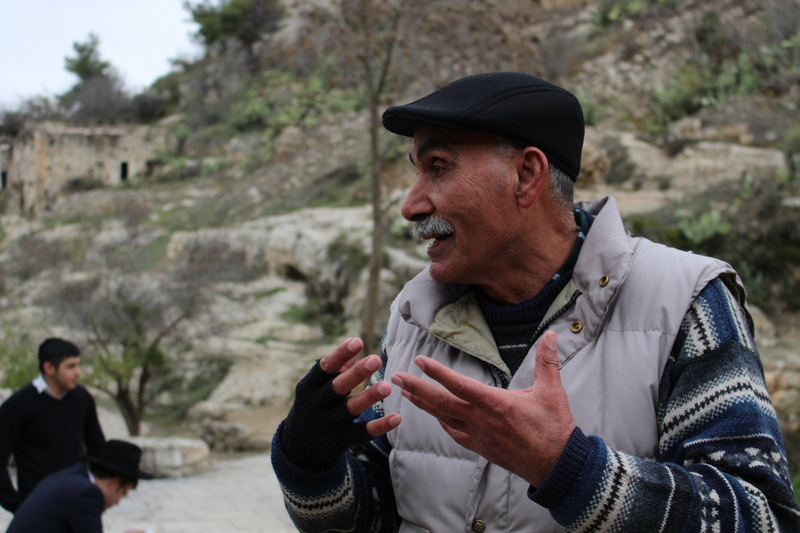 Since the wall’s construction, the Palestinian farmers can no longer access the land. Yacoub Odeh Shares His Memories of Lifta: Yacoub was born and grew up in the village of Lifta, which was one of many villages forcibly depopulated and ethnically cleansed in 1948. Now, adolescent Israeli settlers gather in the former community center to swim in the pool and experiment with drugs away from their parents. Hebron: Normally settlements are placed to surround and isolate Palestine population centers, but Hebron is an exception. Here, Israel has strung together a series of micro-settlements through the heart of the community, which has resulted in vast dead zones throughout the city. 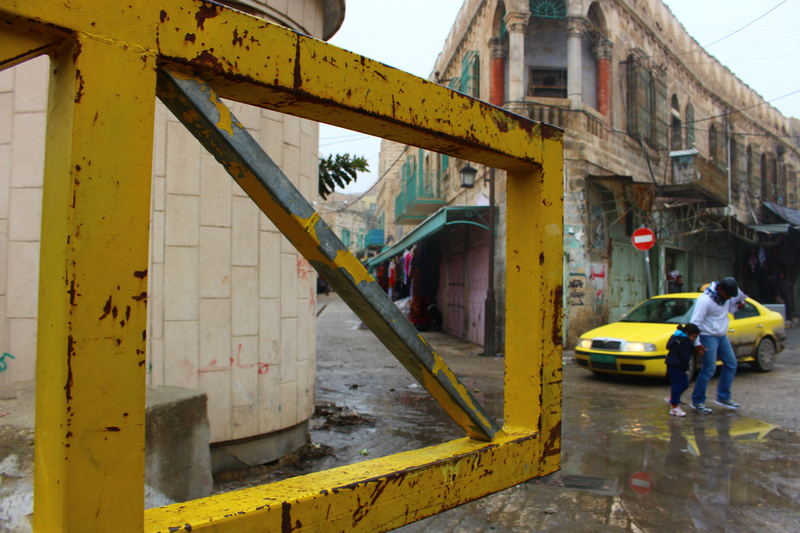 Much of Hebron has become a ghost town no longer accessible for Palestinians. 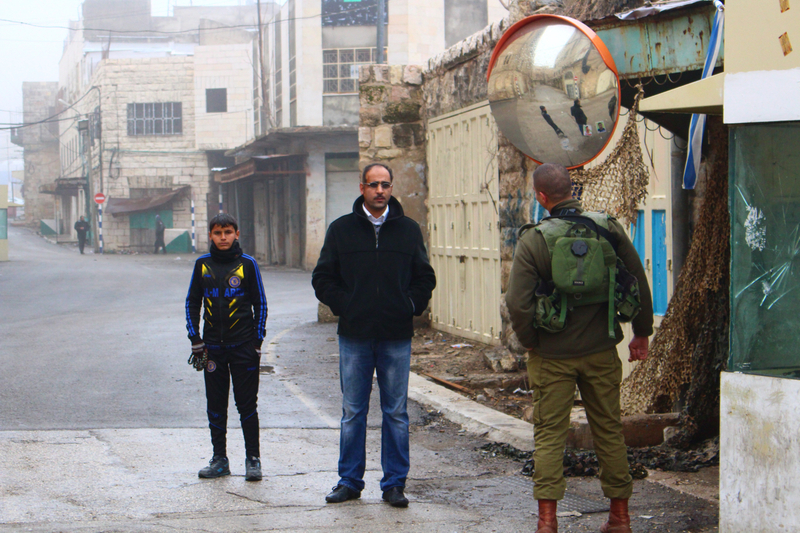 Waleed at the Guard Shack: Waleed, our tour guide in Hebron, waits at an Israeli guard shack. As a Palestinian, he was denied access. We were allowed full access because we are Americans. 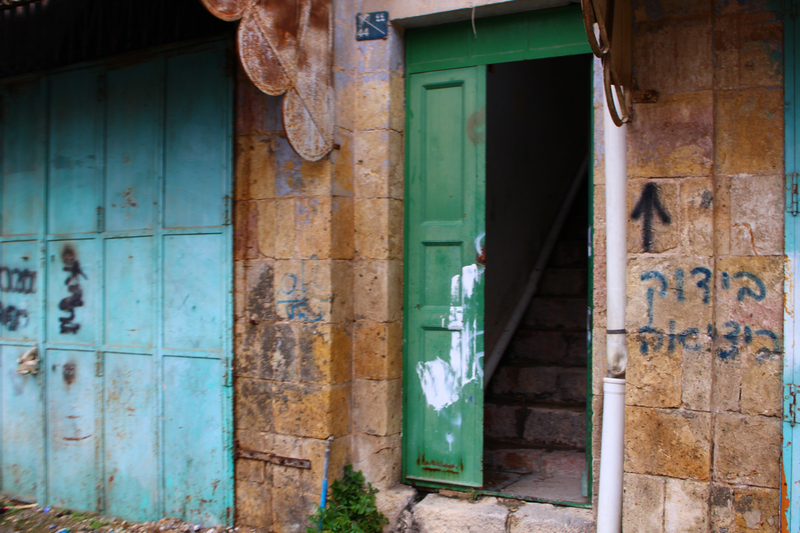 Doors in Hebron: Many doors in Hebron have been labeled with black arrows by the Israeli military. The signs indicate that the door must remain unlocked at all times so that the military can access and use the home at any point. The Last Kufieh Factory: One form of non-violent resistance is economic resistance. Here, a Palestinian stands proudly at his place of employment, the last Kufieh factory in Palestine. Although the Kufieh is a staple item for Palestinian men, only one factory remains in Palestine. Outside of Palestine, Kufiehs are often worn in solidarity with the community. 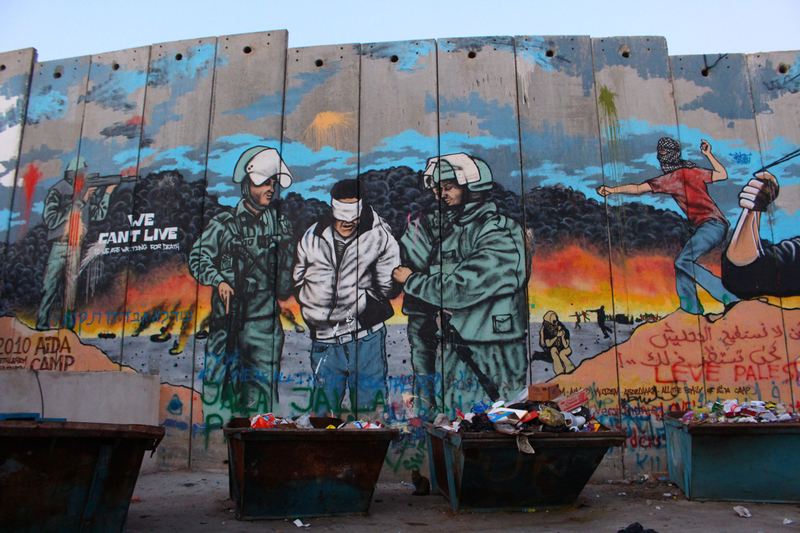 AIDA Refugee Camp Mural: A mural adorns the separation wall of the AIDA refugee camp. Finished in 2010 by the camp’s inhabitants, it uses art as a form of non-violent resistance. The camp frequently uses art as a form of self-expression and as therapy for children. 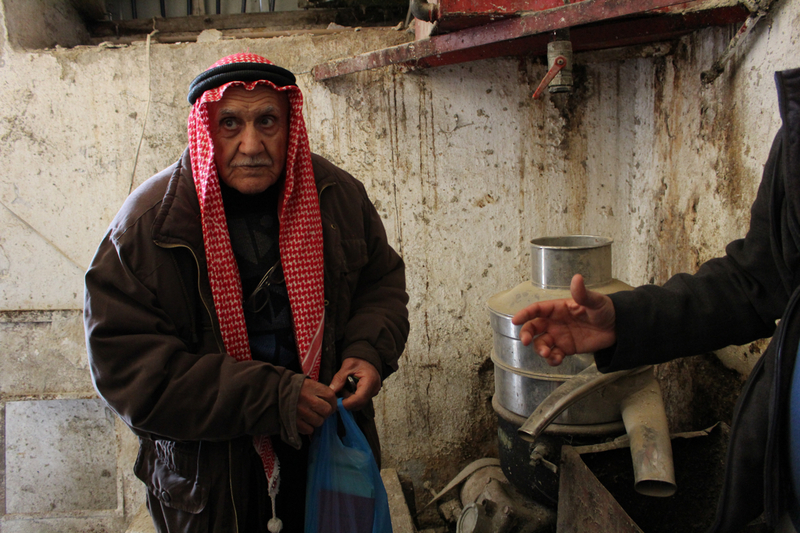 Old Olive Oil Factory in Bir Zeit: This Palestinian man used to run a factory that produced olive oil. It went out of business when it couldn’t keep up with technological advancement. 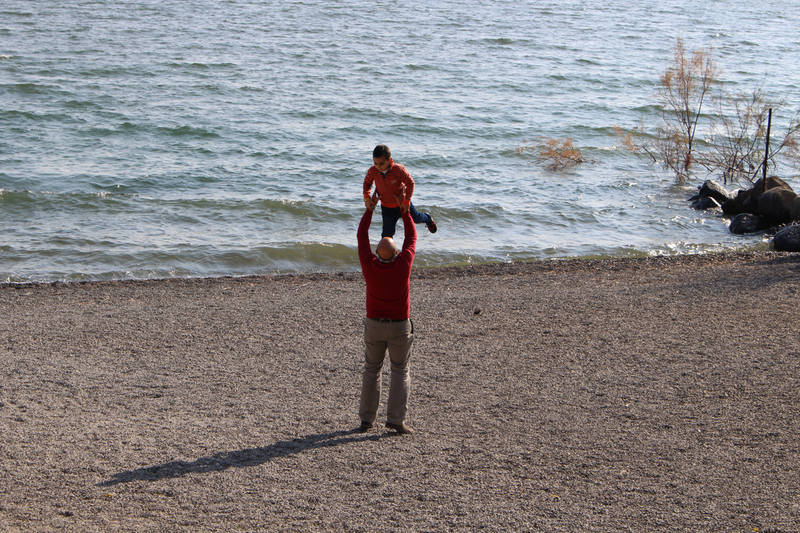 Father and Son at the Sea of Galilee: George, our tour guide, takes a quick break to enjoy the sun and the sea with his younger son. 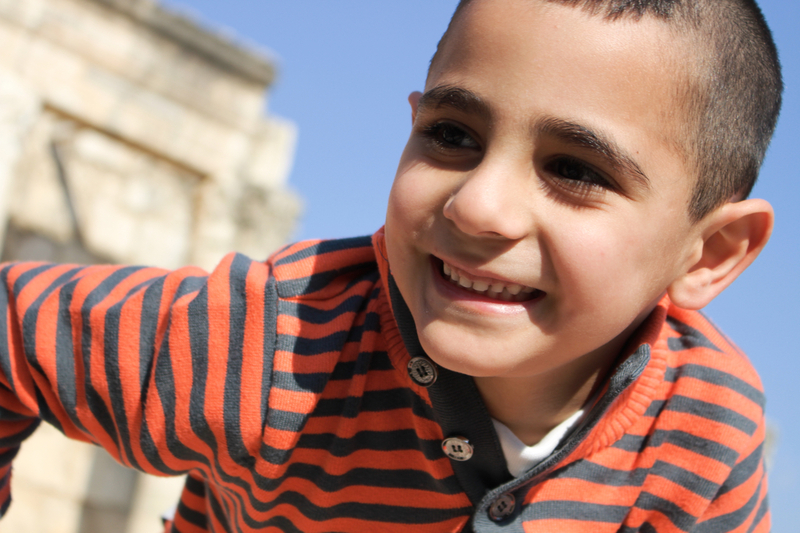 George’s Son: Despite the daily experience of occupation, this Palestinian boy is upbeat and hopeful. 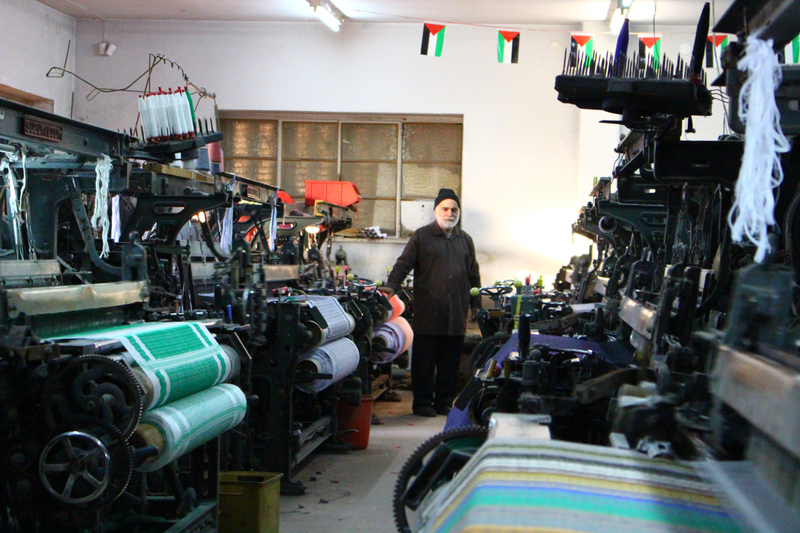 Over time, communities in Palestine have developed a remarkable resilience and continue to harbor hope for the future. Originally from the Los Angeles area, Annelise M. Hagar is a Sociology Masters student at Boston College. She is both sociologist and travel photographer. To see more of her work visit annelisehagarphotography.com.